Atomic Fez Publishing, 9780986642456, 272pp. The Dark Manor isn't just any old haunted house. Built on the site of a stone circle, from bricks saturated with pain and agony, windows that have seen terror beyond insanity, and doors that would scream if the wood from which they were fashioned could voice the appalling acts to which they have been witness, the house was designed with evil in mind and deliberately constructed to bring William Marx, the wealthy industrialist who built it, into contact with the spirit world. But Marx hasn't been seen since he entered the repository of death and madness that is The Dark Manor, and neither have any of the people who have gone looking for him. Now Sir Anthony Calverton has purchased it and needs the place investigating properly, which of course calls for some proper supernatural investigators. You are cordially invited to join Mr Massene Henderson and Miss Samantha Jephcott, specialists in paranormal adventure, as they embark on their most perilous case to date. 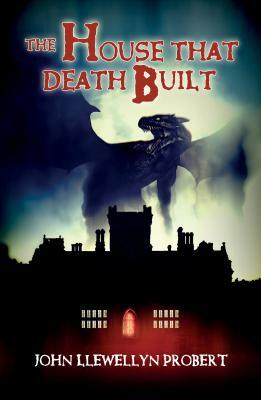 Who will survive The House that Death Built? Only time and the pages within will tell.